Effective Date: March 1, 2012. If you create an account on this site, you are responsible for maintaining the security of your account, and you are responsible for all activities that occur under the account and any other actions taken in connection with your vanity email address. You must immediately notify us of any unauthorized uses of your account or any other breaches of security. You may not sign up for email addresses that infringe upon third-party trademarks; that violates or infringes in any way on the rights of others or which are unlawful, threatening, abusive, defamatory, invasive of privacy or publicity rights, vulgar, obscene, profane, or otherwise objectionable. You assume all knowledge of applicable law and are responsible for compliance with all such laws. You may not use this site in any way that violates applicable state, federal, or international laws, regulations, or other government requirements. You are prohibited from using this site to facilitate mail abuse or unsolicited email or content of any type (spam), machine- or randomly-generated content, or unethical or unwanted commercial content designed to drive traffic to third-party sites or boost the search-engine rankings of third-party sites. We reserve the right to refuse service to you for violation of this paragraph. 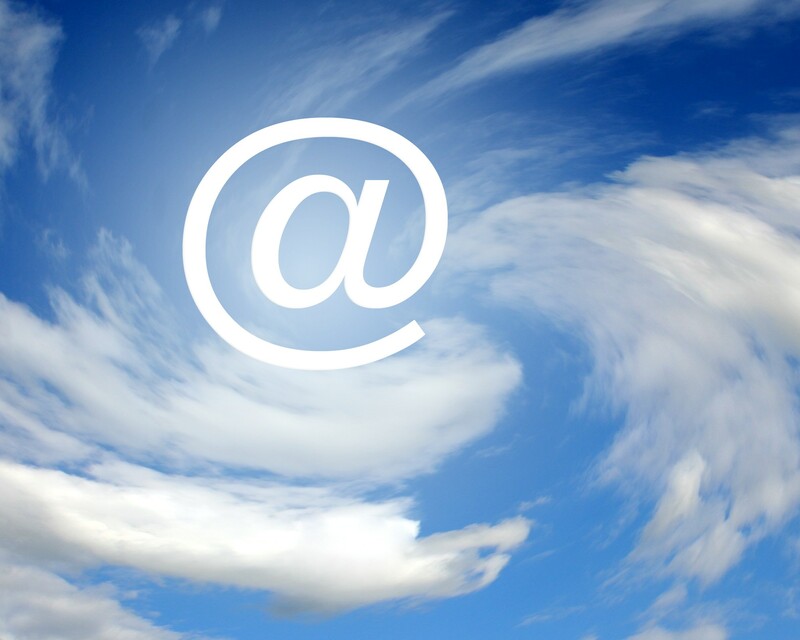 We are not responsible or liable for any emails sent using your vanity email address. We reserve the right to reveal your identity (or whatever information we know about you) if a comp laint or legal action arises from your behaviour. You acknowledge that you are solely responsible for emails originating from your account. Although we may provide certain security in an effort to protect the electronic transmission of certain information that you submit to us through thi s site, we do not guarantee the security of any information transmitted to or from this site, including to or from any third-party websites linked to this site. Submission of any financial (e.g. credit card) or other information to this site or to any third-party websites linked to this site is entirely at your own risk and responsibility. We will in good faith endeavour to provide uninterrupted service to this site, but you acknowledge and accept that we do not guarantee continuous, uninterrupted or secure access to this site, and operation of this site may be interfered with or adversely affected by numerous factors or circumstances outside of our control. If this site is purchased by a third-party, current subscribers will have the option of maintaining their subscription with the new owners, or can choose to be refunded for the remaining time on their account at a prorated rate. This site is provided on an "as is" and "as available" basis. To the fullest extent permitted by applicable law, we make no representations or warranties of any kind, express or implied, regarding the use or the results of this site in terms of its correctness, accuracy, reliability, or otherwise. We shall have no liability for any interruptions, errors, computer viruses or other harmful components in the use of this site. WE DISCLAIM ALL EXPRESS OR IMPLIED WARRANTIES WITH REGARD TO THIS SITE AND THE INFORMATION PROVIDED, INCLUDING THE IMPLIED WARRANTIES OF MERCHANTABILITY AND FITNESS FOR A PARTICULAR PURPOSE AND WARRANTIES OF NON-INFRINGEMENT. THIS INCLUDES LOSS OF DATA OR PROFIT ARISING OUT OF THE USE OR THE INABILITY TO USE THE CONTENT OF THIS SITE. WE DO NOT WARRANT THAT ANY CONTENT OR INFORMATION ACCESSED THROUGH THIS SIT E WILL BE UNINTERRUPTED OR ERROR FREE, THAT DEFECTS WILL BE CORRECTED, OR THAT THIS SITE OR THE SERVER THAT MAKES IT AVAILABLE IS FREE OF VIRUSES OR OTHER HARMFUL COMPONENTS. IN NO EVENT SHALL WE OR ANY OF OUR EMPLOYEES, AGENTS, REPRESENTATIVES, SPONSORS, OR SERVICE PROVIDERS BE LIABLE FOR ANY DIRECT, INDIRECT, SPECIAL, CONSEQUENTIAL, INCIDENTAL, EXEMPLARY OR PUNITIVE DAMAGES, OR DAMAGES FOR LOST PROFITS, LOSS OF REVENUE, OR LOSS OF USE, ARISING OUT OF OR RELATED TO THIS SITE OR THE INFORMATION CONTAINED IN IT, OR THE INABILITY TO USE THIS SITE, WHETHER SUCH DAMAGES ARISE IN CONTRACT, NEGLIGENCE, TORT, UNDER STATUTE, IN EQUITY, AT LAW, OR OTHERWISE, EVEN IF WE OR OUR REPRESENTATIVES HAVE BEEN ADVISED OF THE POSSIBILITY OF SUCH DAMAGES. Some jurisdictions do not allow for the limitation or exclusion of liability for incidental or consequential dam ages. In those jurisdictions, our liability is limited to the greatest extent permitted by law.